Available for skippered charter. Based in Leverburgh, Isle of Harris. Capacity for 12 guests. 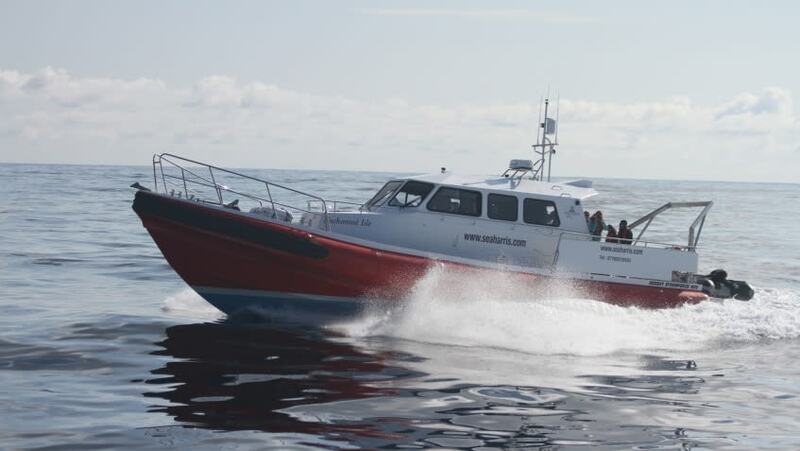 Prices start from £1950 for a full day tour; half-day charters are also available starting at £600. 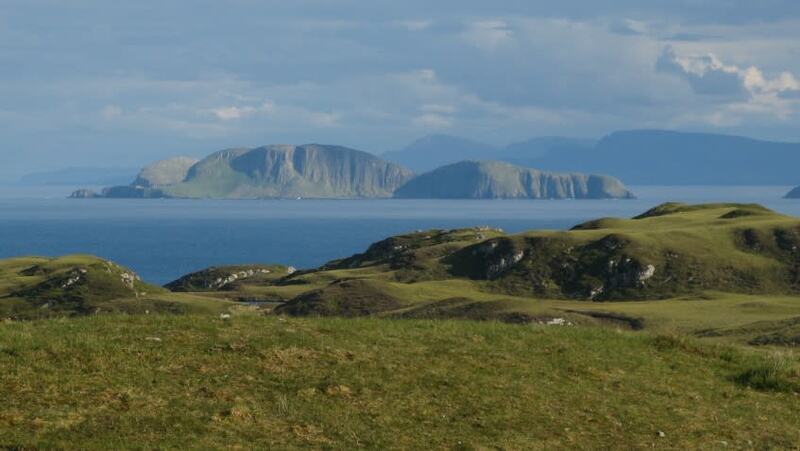 The 'Enchanted Isle' is now available for Wildlife Tours on and around the Isle of Harris. These trips can be tailored to meet your individual requirements upon enquiry. 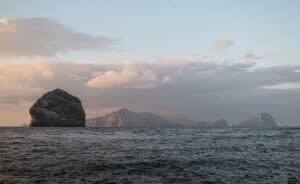 A range of destinations are available: St. Kilda, a site of rugged scenery and abandoned villages; the Shiants, famous for their basalt rock pillars, looming black cliffs, and legendary underwater caves; Pabbay, boasting green slopes hosting sheep and wild deer, as well as golden beaches and deserted villages; Taransay, with stunning golden beaches, dramatic views of Harris and a famous natural sea arch; and Scarp, reaching up to 1011 feet and offering breathtaking panoramic views of the North Harris hills, St Kilda and the nearby sea lochs of Lewis, as well as occasionally sea eagles. 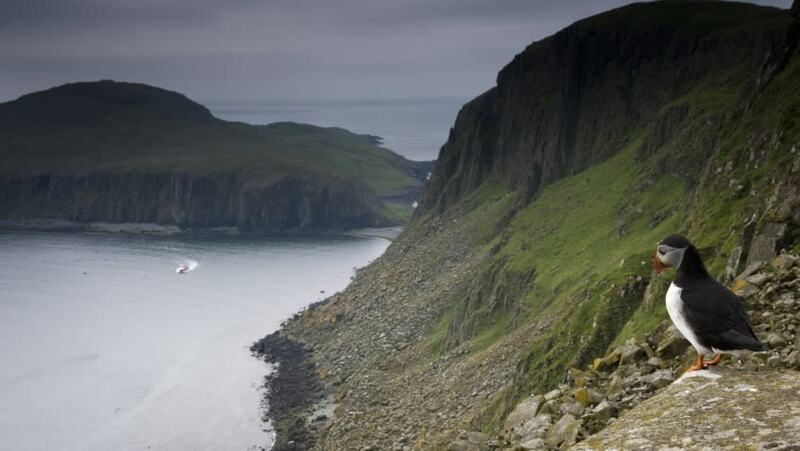 In each of these locations, a wealth of wildlife can be found, from puffins to seals to sea otters. You'll be spoilt for choice aboard the 'Enchanted Isle'. The 'Enchanted Isle' has been designed to allow for the maximum seating in the air-conditioned cabin, with very comfortable aircraft-style seating arranged in pairs down each side of the cabin. Visibility from within the cabin is excellent through the large windows, this is particularly beneficial when alongside the colossal cliffs and sea stacks. 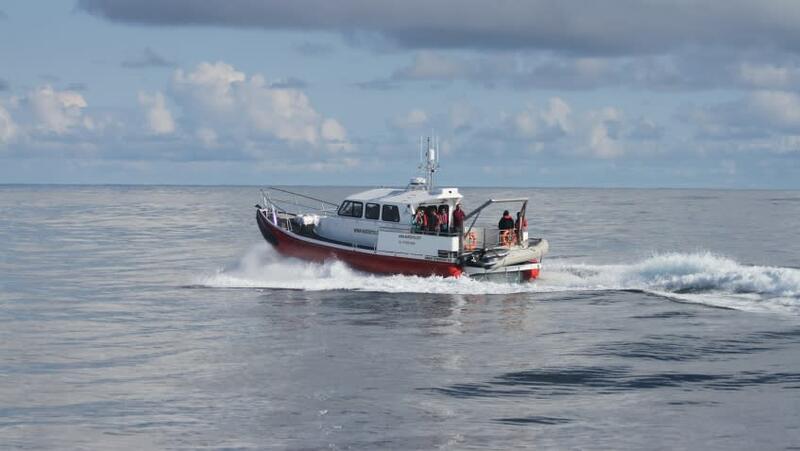 She has full galley and toilet facilities with hot & cold running water and a large aft deck with outside seating, allowing plenty vantage points for all passengers. The Enchanted Isle has a large stern platform which is easily accessed by stepping down from the main deck. 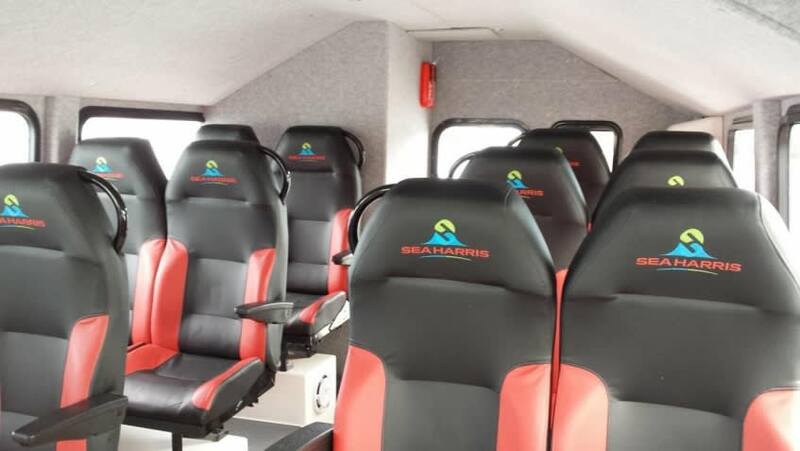 This has been purposely designed with the benefit of our experience, to allow for easy and safe embarking and disembarking of passengers. At the helm position there is a full array of state of the art Garmin marine electronic equipment to maximise safety whilst at sea and, with the safety of passengers being paramount, there is also a video camera to keep a watchful eye on any that are out on the aft deck enjoying the uninterrupted views and fresh sea air. 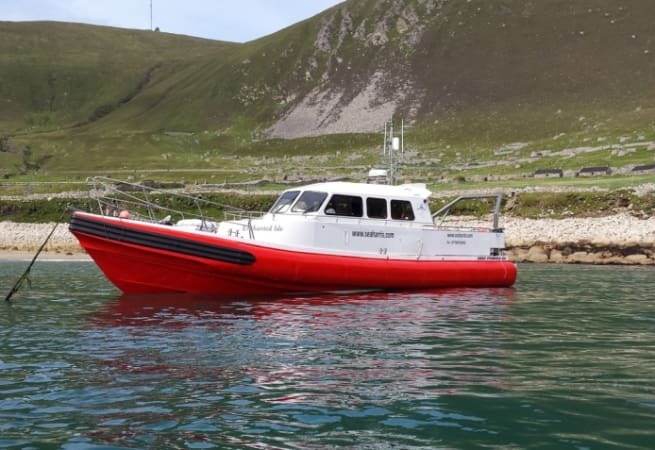 The vessel is coded to MCA category 2 for 60 miles offshore and as such, carries a full complement of safety equipment and life saving appliances and undergoes stringent annual inspections. 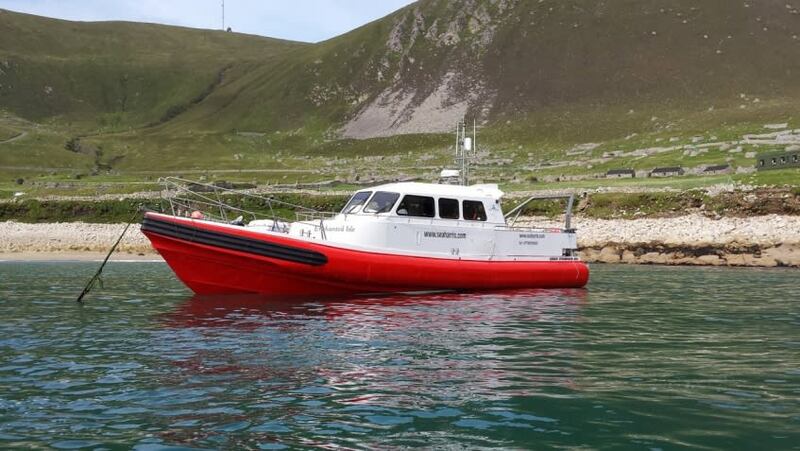 Power is supplied by a pair of very efficient 500 hp Cummins engines, giving her a top speed of 27 knots and a comfortable cruising speed of 22 knots, making the Enchanted Isle the fastest, greenest and most economical day trip boat operating from Harris.